Autonomous vehicles (AVs) are already being tested in California, Pittsburgh, Singapore, Paris and Oslo. As they spread, they are becoming a natural flashpoint for debate. Proponents of AVs point to their promise of a safer, faster, cleaner and more convenient commute. But are cities prepared for this revolution, or will AVs simply create a host of new travel patterns that end up adding more congestion, pollution and danger to city streets? AVs have the potential to reshape cities in profound ways, that much is clear, but our understanding of the technology and its impact is changing rapidly. At the recent Transforming Transportation 2018 conference, co-hosted by the World Bank and WRI’s Ross Center for Sustainable Cities, one panel neatly summarized the current state of play and some of the major points of contention for proponents and opponents. The city of Pittsburgh has experience with AVs since 1989, in large part due to the expertise cultivated at its universities. It should come of no surprise, then, that the city became the first to allow four autonomous Ubers into the wild in 2016. At the outset of the program, riders had to opt in to use them and were not charged, said Karina Ricks, the city’s director of mobility and infrastructure. Today, it’s estimated there are 40 autonomous Ubers in circulation, autonomous Uber rides are no longer free or limited to volunteers, and five more ride-hailing companies are using Pittsburgh’s streets as their AV testing lab. At least in this Pennsylvania city, AVs are a fully operational mobility service. Furthermore, AVs are an important part of the city’s ambitious 2030 agenda, which includes reducing energy, water and transport emissions by 50 percent, said Ricks. A survey conducted six months after Uber’s AV operations began showed a positive public response. 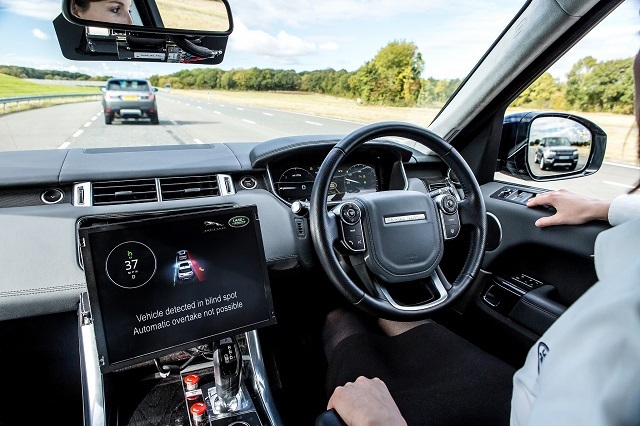 Fifty-nine percent of respondents felt safe or very safe operating alongside a robotic vehicle, and 68 percent were satisfied with testing taking place in their city. Overall, cyclists were happy with AVs passing at a safe distance, and pedestrians felt safer when AVs did not start driving immediately when traffic lights turned green. Additionally, both cyclists and pedestrians felt safer with vehicles adhering to the local speed limits (which annoyed some aggressive drivers). Stacy Cook, senior associate with Cambridge Systematics, a transportation innovation firm, said she believes the technology currently being tested in cities is way ahead of our ability to handle it. Governments, in collaboration with the private sector, should ask first what societal goals they need to achieve, and then make sure these goals are met by new technologies, she said. Ricks herself noted a number of policy questions Pittsburgh is still grappling with due to the influx of AVs, including how city leaders manage the financial disruption from the loss of fuel and property taxes and parking revenues. Cook quoted a 2016 survey on 50 states and metropolitan transport authorities in the United States: Just 6 percent of respondents indicated they were strongly advancing the integration of AVs, which many experts say is required to reduce congestion and emissions. Thirty-five percent were doing little, and 40 percent were not thinking about the AV challenge at all. Overall, there are great opportunities for improving road safety, reducing congestion and lowering emissions. But few governments are thinking along these lines. For Stephen Cotton, general secretary of the International Transport Workers’ Federation, the major concern is about job losses. To ensure the AV revolution is inclusive, operators need to be part of the conversation, he said. We need a humanitarian view of the future, he said, that considers the needs of transport workers alongside users. David Ward, secretary general of the Global New Car Assessment Program, a UK charity, offered a counterpoint to the hype around the AV “revolution,” saying the mobility environment is not actually changing as quickly as many think. Fleet replacement takes a long time, Ward said, as car owners today are holding onto their vehicles for longer than those of the past. To have a significant impact in 20 years, a current manufacturer would need to offer an extremely low-cost, fully functional AV right now. This is rather good news, he said, because we have time to better prepare. At the same time, there are many other technologies that are ready and can be implemented immediately to achieve the road safety benefits that AVs promise: electronic stability control (anti-skid technology that’s currently missing from 40 percent of the global vehicle fleet); autonomous braking systems; and intelligent speed adaptation (pre-loaded maps and on-board sensors that identify the posted speed limits and prevent drivers from exceeding them). All of these elements will be mandatory for vehicles in Europe by the end of 2018. Despite such an unclear landscape, a common theme from each speaker was the need to understand and advocate for social progress, environmental protection, road safety and economic efficiency while cities and companies are working through the kinks in the technology. If cities cede this space to the private sector, the effect could be disastrous for places already grappling with congestion, increasingly dangerous streets, and deadly air pollution. This is the reason WRI supports the recent Shared Mobility Principles, which among other goals, states that autonomous vehicles in dense urban areas should be operated in shared fleets. Dario Hidalgo is Director of Integrated Transport at WRI Ross Center for Sustainable Cities. Tags: air pollution, autonomous cars, California, D.C., data, driverless cars, Oslo, Paris, Pittsburgh, Shared Mobility Principles for Livable Cities, Singapore, Transforming Transportation, TTDC18, Washington, D.C.